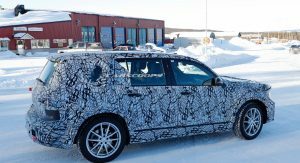 Mercedes-Benz is putting the finishing touches on its all-new GLB compact SUV ahead of its debut expected for this summer. 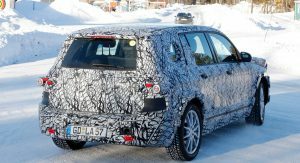 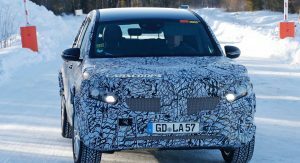 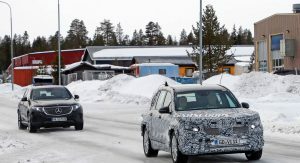 At the same time, however, the carmaker has begun testing the all-electric variant of the GLB which will be called the EQB as per Mercedes’ new electric vehicle nomenclature. 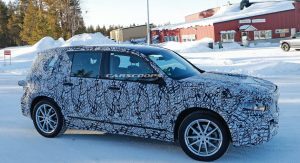 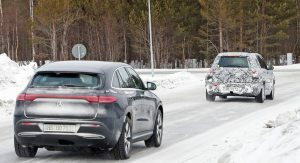 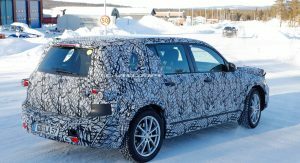 Our photographers spotted two Mercedes EQB prototypes in northern Sweden “wearing” the GLB bodywork for the first time. 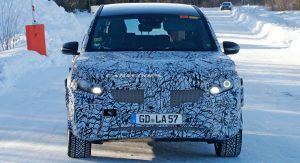 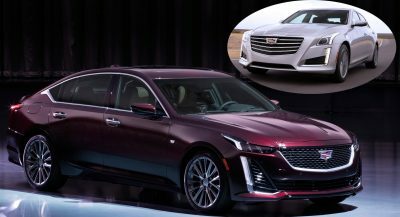 How do we know it’s an electric prototype and not a plug-in hybrid? 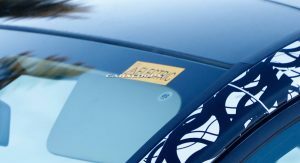 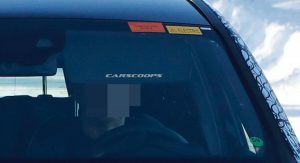 Well, it’s because Mercedes attached a sticker to the windshield that reads “Electric.” That’s something the automaker only puts on its fully electric prototypes. 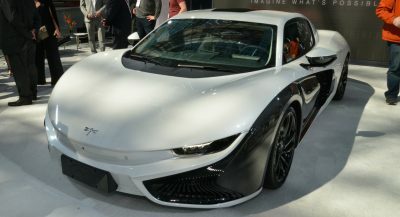 Not much is known so far about the EQB other than it’s expected to offer a 500-km (310-mile) driving range from the same lithium-ion battery as the upcoming EQA electric compact. 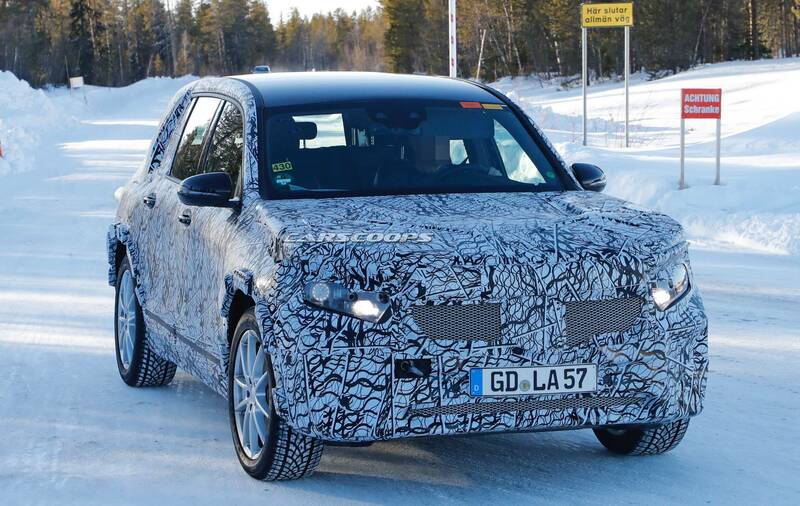 Expect one electric motor on each axle for AWD capability. 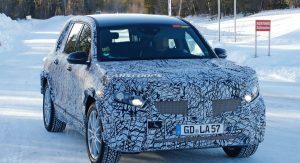 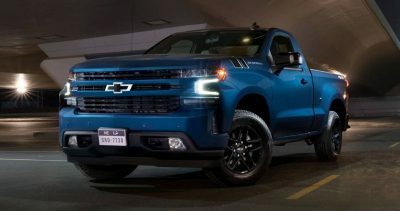 The EQB is also rumored to adopt an aerodynamically optimized GLB-based body. 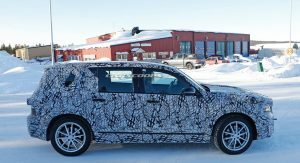 That could explain why Mercedes keeps the prototypes fully camouflaged when the regular GLBs feature way less camouflage. 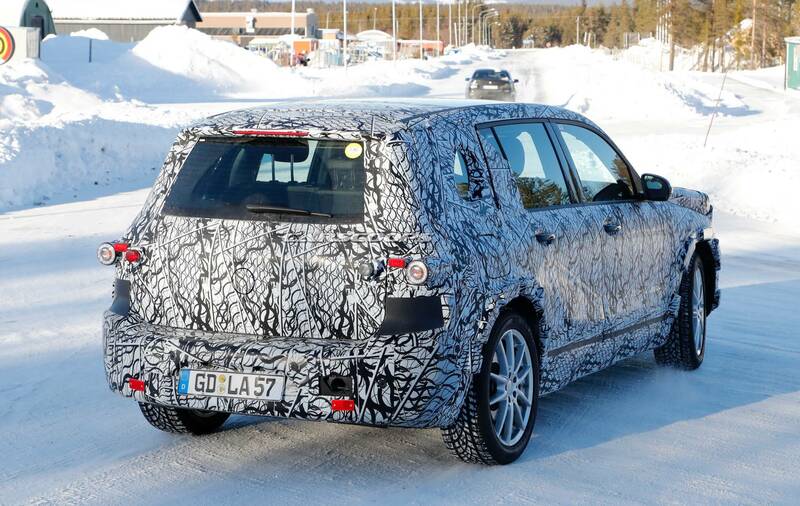 It’s understandable that Mercedes wants to keep hidden the EQB’s styling updates over the GLB. We can’t tell anything by looking at the prototypes but the fact that they don’t feature the final production lights tells us the Mercedes EQB EV will be easy to distinguish from the GLB. 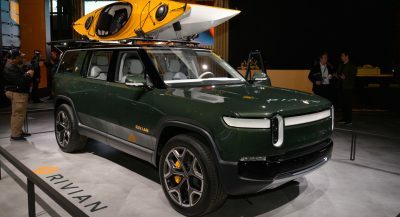 Speaking of the GLB, besides the regular gasoline and diesel versions the boxy compact SUV will offer a gasoline-electric plug-in hybrid variant with an expected EV driving range of 100 km (62 miles). 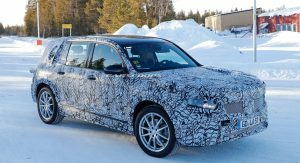 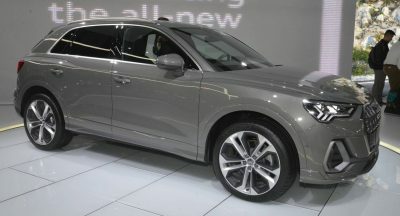 The PHEV will use a 2.0-liter four-cylinder gasoline engine and gearbox-mounted electric motor to drive the front wheels as well as a second rear axle-mounted motor to power the rear wheels. 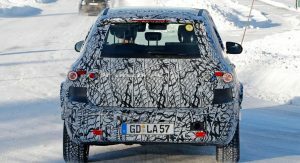 Both motors will source energy from a lithium-ion battery mounted under the vehicle floor.